Are you looking for a way to enhance your social media presence? 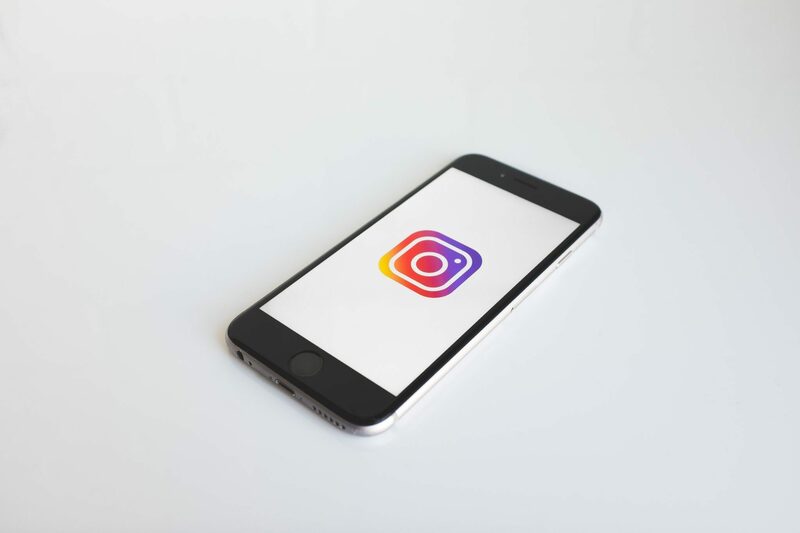 Have you established a presence on Instagram, and wondering how to tap into IGTV? If you answered yes to the above, that’s great news. You’ll learn exactly what IGTV is, why your business should be using it, and also how major brands are already taking advantage of IGTV. Instagram is gradually becoming one of the most attractive social media platforms for businesses. With over one billion users, it has cemented itself as only one of two platforms with over a billion users. Which presents businesses a chance to market to a larger audience all from the comforts of their offices. IGTV is a new feature introduced by Instagram which allows users to reach a wider audience for a longer period of time. We have the scoop for you to use IGTV to its fullest potential. Why should your business use IGTV? IGTV stands for Instagram Television, it is a feature that the platform introduced this year. The feature can be accessed on the Instagram app itself or you can download the IGTV app which makes browsing the TV a little easier. IGTV makes uploading and accessing longer videos a lot easier for users. Think of IGTV as a longer form of stories as it gives normal users an option to upload videos of up to 10 minutes. Users and brands with a larger following and are verified have the capability to upload videos up to an hour long. One reason why you may consider downloading the IGTV app is that it is easier for you to create a channel for your business, similar to what you see on YouTube. The channel works alongside your Instagram profile and only one channel is allowed per profile. While there is no current monetization scheme for these channels, it won’t be long until Instagram works something out to provide monetary benefits to popular channels. As stated above, there are two ways to access IGTV either through the Instagram app or the IGTV app. Step 1: Open the Instagram app, you will notice a TV icon, at the top right corner. Step 2: Click the TV icon. A new screen opens up in which you get to see various videos that have been posted. These are popular videos on IGTV that you can view. Before you can upload any content, you have to create your own channel. Step 3: Creating a channel is simple; access the settings under IGTV where you have the option to create a channel. You will then have the option to upload your videos. Like YouTube, you can add a title and description and users will be able to like and comment on your videos. The process for setting up a channel is the same in IGTV app as in the Instagram app. The only difference is that through the IGTV app you will directly open to IGTV rather than have to click on anything to access it. For businesses, IGTV presents a unique way to market their brand. The fact that IGTV isn’t as big as YouTube yet can actually help businesses that establish themselves relatively early. IGTV also present businesses another way to team up with Influencers. You can redesign your Influencer strategy by including IGTV. The platform presents Influencer with the chance to post videos from unboxing of your products, reviews, and how to use videos. They can also highlight the benefits your products or services have on their daily life. The best part about IGTV is that is ad-free. This makes viewing videos for users a lot easier and some may even prefer it over YouTube because of this sole reason. Businesses should think of jumping on the IGTV bandwagon as soon as possible. Don’t wait, cause many big brands have already started their IGTV campaigns. Big brands immediately jumped on to the IGTV ship from the moment it launched. 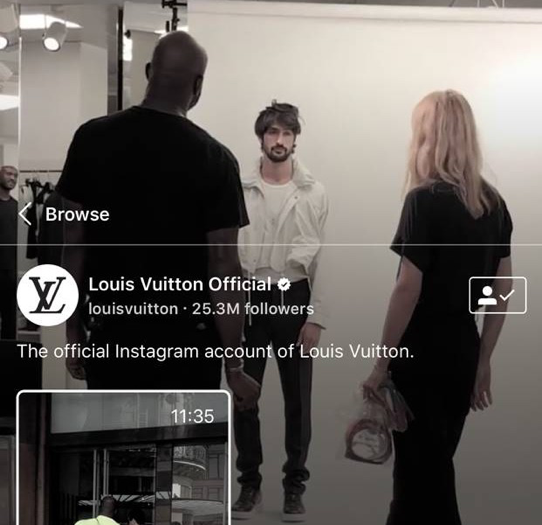 From Netflix, Mercedes to Louis Vuitton, you can find content from most major corporations on IGTV. 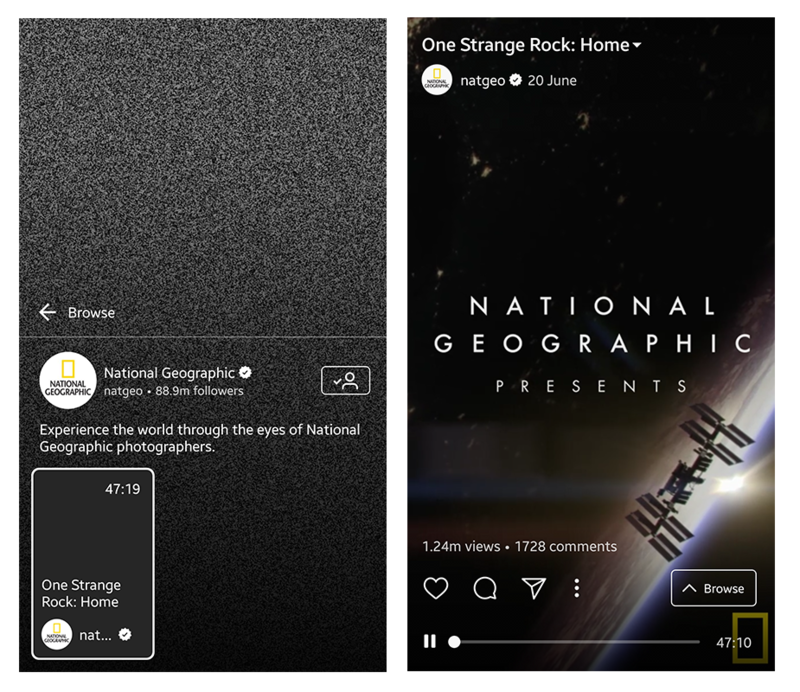 We have four examples of brands that have used IGTV the right way so far. Netflix received quite a positive response to their first video on IGTV. The video, which features Riverdales’ Cole Sprouse, has over 958,000 views along with hundreds of comments. The video featured the actor eating a burger for an hour might sound a bit weird, but none the less, the star made it entertaining. Netflix’s approach to IGTV has users talking which definitely has benefitted the company. Netflix’s approach shows businesses that they can experiment with the content they upload. Don’t stick with the same strategy and try something new to determine what audiences like. That’s the beauty of video content, you can play around to see what sticks. 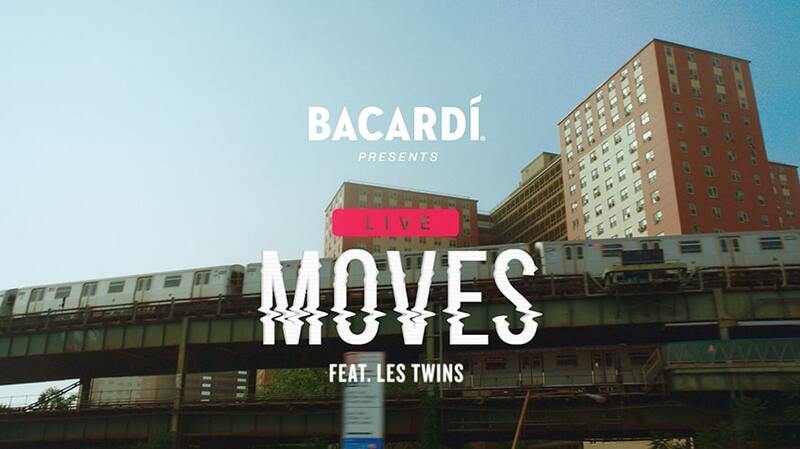 Bacardi’s first video on the platform featured DJ A-Trak along with the renowned dancers, Les Twins. The video utilized Instagram’s poll feature to get fans to input on how the video should be. Through their input, a music video was developed which features Les Twins dancing in various places. Bacardi’s approach to its first video was like no others. Using the poll feature made them appeal to the audience, even more, presenting them with the chance to participate in the making of the video. This, of course, resulted in the fans following through in watching the video to see what the outcome would be. Their video is a prime example of how effective Instagram can be in engaging and getting viewership with longer videos. 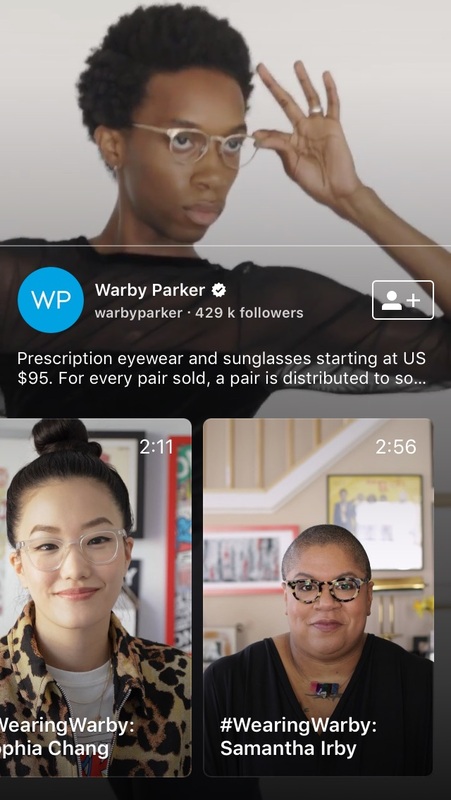 Warby Parker is an eyewear brand that took its “Wearing Warby” campaign to IGTV. The brand features interviews with Influencers such as food blogger Molly Yeh and author Marley Davis. Along with this, inspirational stories are also shared on the brand’s channel about how the needy are helped with each purchase of an eyeglass from Warby Parker. Emotional content is as appealing as ever. Warby Parker’s social work has been highlighted in their inspirational videos which resonate with the audience. They also present other brands with the right model of how to use Influencers in videos. Louis Vuitton broadcasted its recent fashion show which featured the Men’s Spring and Summer 2019 collection. The video is one of the most visually appealing videos on IGTV and was made vertically specifically for the platform. IGTV presents brands with a way to extend their events to a wider audience. The fashion label enabled fans from all over the world to have access and see the fashion show while also sharing backstage content as well, later on. National Geographic already has one of the most followed pages on Instagram with 89.6 million followers. It has enhanced its presence with the help of IGTV which presents it with another platform to showcase documentaries. Its first of which features Will Smith and is a 48-minutes long which features Peggy Whitson, a NASA astronaut, and her journey back to earth after her space mission that spanned almost 2 years. NatGeo is known for its visually appealing content. It already has established itself as one of the leading brands on Instagram and it made sense for the platform to allow the brand to be one of the first to launch a video on IGTV. The video, which has over 1.3 million views, is proof that IGTV can reach a wide-audience if your content is worth the watch. Buzzfeed is one of the most popular digital media company that has a major youth following. It has a strong presence on Instagram and has been posting videos on IGTV that are funny, informative, and entertaining. The type of content that has given the company the popularity it enjoys. 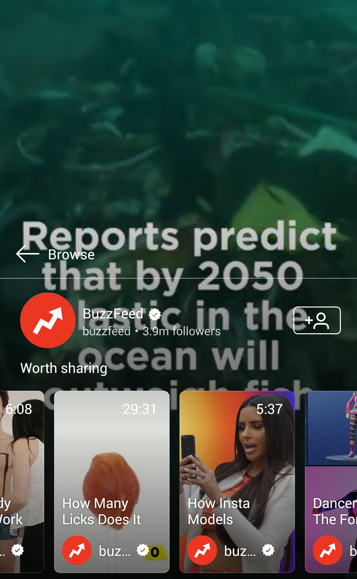 Buzzfeed’s approach to IGTV is similar to its approach on all social media platform. It sticks to the content it knows the target audience wants. It didn’t stray too much from its regular content on IGTV which seems like a smart idea since it is getting views on the platform. Before posting your first video, you need to develop an understanding of what the right content is for your target audience. 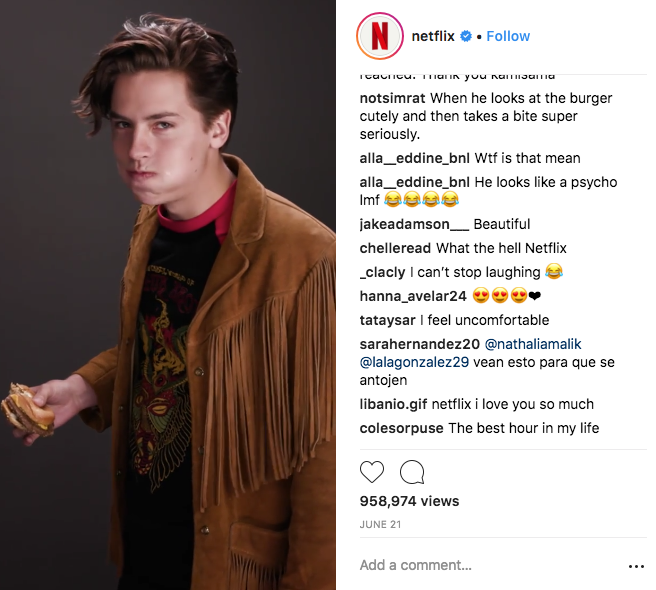 Experimenting is one thing, imagine if Netflix used an average person rather than Cole Sprouse to eat a burger for an hour. You think the video would have received as much traction as it did? Probably not, people would tune out 30 seconds into the video. So if you are planning on experimenting, make sure it is a well-calculated experiment. The first step to content development is always developing content that appeals to your audience. If you want to test which content appeals to your audience you can even start off by posting stories. 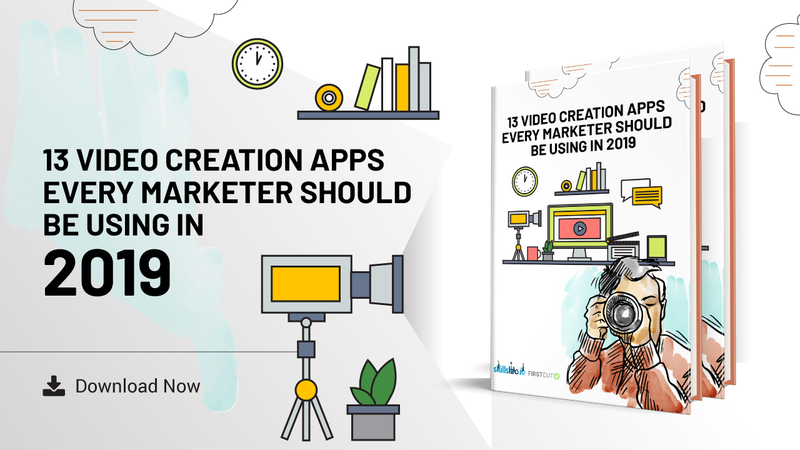 This will allow you to develop an understanding of which videos on stories get more views and which don’t then creating an IGTV strategy accordingly. These apps will help you make your stories more interesting. You want the videos to connect in one way or another. This will ensure that viewers continue to watch your videos. If you constantly promote products and services, chances are they will eventually tune out. Viewers are more aware today and like content they can either relate to or something that grabs their attention. Take Warby Parker’s campaign, for example, their inspirational stores help people relate and appeal to their emotional side. They have a series of these videos with different stories which keep viewers engaged. IGTV presents you with the option to share your posts to Facebook. But that probably is not enough, to gain maximum traction you should link your posts in other social media platforms. This will help raise awareness of your channel and gain viewership. What works and what doesn’t can easily be gauged on IGTV, thanks to Instagram analytics. The feature allows you to see details like if viewers watched your whole video or not. This will tell you that maybe you should upload shorter videos if they aren’t watching it completely. The analytics will help you develop content that is consistent with what your audience wants to see. So use it wisely and watch your viewership grow. IGTV is another platform that presents businesses with a chance to market their services and products. 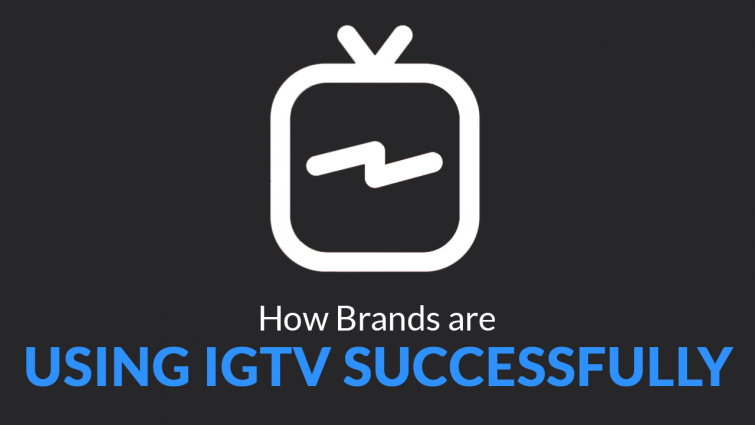 It is fairly new but Instagram has been huge for businesses so there is no second guessing the impact and benefit of IGTV. Just be sure to follow our tips and launch a well-thought-out strategy. In no time you will gain viewership and make your mark on IGTV.